True hope resides in symbol use that embraces the reality of continuous, universal change and personal stewardship. Delusive hope (misery) resides in symbol use that denies this reality. The universe is characterized by continuous transformation i.e. universal change. We experience this as energy, the universal potential, all of which is active. Energy continuously flows from regions with the greatest energy to those with the least energy, forming and transforming all in the process. Any form, whether it be a galaxy, a planet, a weather system, a human being or an atom, is a product of a particular confluence of time-space in which a unique balance of the flows of energy occur. 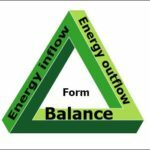 Any form, including our human form, exists only for the moments that unique balances in the flows of energy are sustained. Energy is manifest from many perspectives, including a thermal or “heat” point of view. Indeed “heat” is one of our most potent sensations of energy. 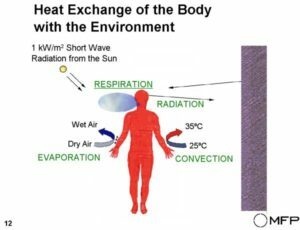 We are very sentient of any gain or loss in heat in our body. Existence involves paradox and we live the thermal paradox: warming and cooling are different processes even as they arise from each other. We are exquisitely attuned to the thermal process because it is central to our survival. 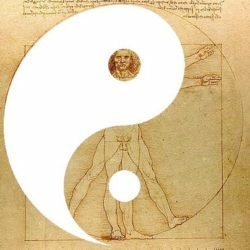 We are sensitive to these flows and balances from a thermal perspective because we humans only exist while the core of our body is sustained at an average 37.0 °C (98.6 °F). We die when it varies by more than a degree or so for any period. Observe below the etymology of our key thermal symbols. The origins of the “warm”, “cool”, “heat” and “thermal” symbols all arise from our intimate experience of changes in our weather, climate and fire. Our ability to comprehend these thermal processes enabled agriculture and travel. Cooking is an exercise in maintaining thermal balance. Our development of the art (skill) of controlling fire over many millennia transformed how we move, eat and think. We became less ruminant and more up-standing beings. Fire became a profound element of our psyche, informing our physique, our institutions, our societies and our world views. The human psyche is a paradox of information, being informed by a vast sentience, a trace thought process (self-awareness) and the active interface of these two elements, namely “the ego”. The nature of the ego is such that it abhors reminders of the finite nature of all forms (our mortality). It thus denies in most ingenious ways our role as stewards amidst the universal thermal flux. Our survival as a species is contingent on civics – the art of sustaining the flows and balances that sustain us. In civics, we embrace the principles of physics and thus we can transcend the incredible deceits of the ego. Humans have had the capacity to burn nearly all the forests and prairies of the planet for many millennia but somehow civics prevailed. Hence, until about three centuries ago, generations of humans over scores of millennia inherited deep soils, clean water and forests over vast areas of the planet. About the 16th C a radical non-civic consciousness emerged in Western Europe, particularly England. It was then and remains a complete denial of the principles of physics. A fundamental belief was that all the biomass of the planet, both living and fossilized, existed so it could be burned for the short-term profit of “The English Crown”, alias a few merchants. This amoral belief system gave these merchants extraordinary power because it super-charged weaponry. Fire had long been used as a weapon but this ethos enabled warfare on a catastrophic global scale. The Combustion Revolution also enabled the development of a vast array of combustion-driven devices. Many of these have been used to destroy soils, pollute the air and water, exterminate species, extract and destroy minerals such as fossilized biomass etc on an unprecedented scale. We now know this as the Anthropocene that imperils us all. The Thermal Balance, which is Earth. Our planet, like all things great and small, is a unique, transient balance of energy, albeit a balance lasting billions of years. And within that balance are exquisite thermal balances of the lands, oceans and air of our planet that enable life to flourish. All is continually warming even as it is cooling. We life forms exist because all the thermal forces of Earth interplay in our sun’s heat in ways harmonious to our welfare. The net effect is that the continuous global warming equals the continuous global cooling. The average temperature of Earth’s surface remains relatively constant at 15 C.
The Thermal Force, which is Human-kind. Many and various cultures existed prior to the Combustion Revolution. However there is little evidence that they impacted the thermodynamics of Earth in a forceful way. This new and very radical culture enabled the combustion of Earth’s biomass on an epoch scale. A minority of humans have significantly increased the capacity of our atmosphere to retain thermal energy and become more volatile. 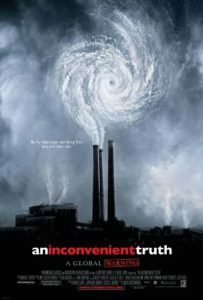 Their gross combustion has caused a potent imbalance in the global warming-cooling of Earth such that the consequent temperature rise could well induce a change of our planet’s state – a change from a state that has sustained us to one that is hostile to human life. The English Empire, now expanded to the global Anglosphere Empire this past century, is the prime driver of the Combustion Revolution with its fundamental delusion that Earth’s biomass exists to be burned for the short-term profit of a merchant oligarchy. Radical changes to the use of English simultaneously reflect and generate this radical shift in consciousness. 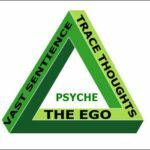 These changes in behaviour and language bear all the hallmarks of the ego with its confounding of the principles of physics and its gross denial of our roles as stewards amidst the universal flux. No temperature change = warming = cooling = balance = stable state. Temperature increase = warming-up = warming = balance = stable state. Comment: observe how this conflation of warming and warming-up conveniently justifies existing behaviour no matter how unsustainable. No net temperature change of planet’s surface = Global Warming =Global Cooling = balance = = stable state = human life enabled. 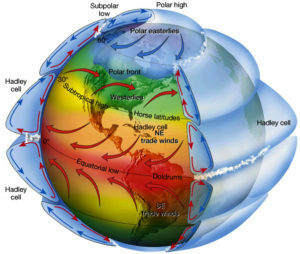 Net temperature increase of planet’s surface = global warming-up = Global Warming = balance = stable state. Comment: observe how this conflation or warming and warming-up justifies existing behaviour no matter how unsustainable. Also observe how the ego simultaneously associates Global Warming, the life sustaining process, with malevolence. The ego is well capable of making each of us our own worst enemy. Climate change on Earth is inherent in the continuous universal transformation. 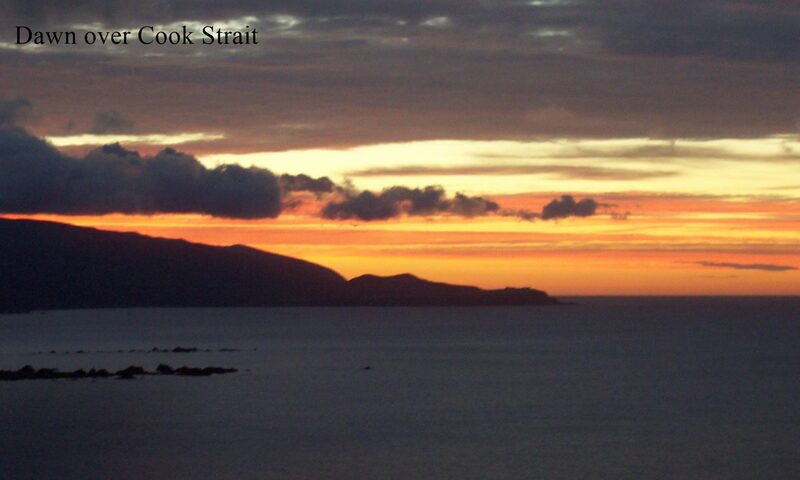 It can be understood from many perspectives including solar, tectonic, hydrodynamic and biological. Earth’s climate change has been congenial to the existence and evolution of life forms for over four billion years. 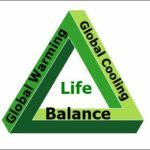 All life forms impact on climate balances. The impact of humans use of Earth’s climate can be symbolized as Human-induced or Anthropogenic Climate Change. Human-induced or Anthropogenic Climate Change = Climate Change = Global Warming. Comment: observe how this equation denies the impact of human activity by conflating it with climate change and with thermal balance. This conveniently justifies existing behaviour even if it is very unsustainable. Fossilized biomass is biomass that has been buried in Earth’s mantle. Tectonic forces over eons transform it into substances such as coal, mineral oil and mineral gas. These materials have extraordinary potential for a multitude of uses because of their versatility. Coal, mineral oil and mineral gas are symbolized as “fossil fuels” i.e. they exist to be burned. Ultimate advert for cars, jets and pollution trading? The ego can easily blind even the most well-intentioned of us to the unsustainable nature of our actions and this is reflected in our dissonant use of English. Our message can be opposite to what we think it is. We can transcend this condition and more truly care for Earth’s climate by ensuring our use of (English) language embraces the principles of thermodynamics. cool (v.) Old English colian, “to lose warmth,” also figuratively, “to lose ardor,” from the root of cool (adj.). Meaning “to cause to lose warmth” is from late 14c. Related: Cooled; cooling. heat (n.) Old English hætu, hæto “heat, warmth; fervor ardor,” from Proto-Germanic *haita- “heat” (cognates: Old Saxon hittia, Old Norse hiti, Old Frisian hete, German hitze “heat,” Gothic heito “fever”), from PIE *kaid-, from root *kai- “heat.” The same root is the source of Old English hat “hot” and hæða “hot weather” (see hot). thermal (adj.) from Greek therme “heat, feverish heat,” from PIE *gwher- “to heat, warm” (cognates: Latin fornax “an oven, kiln,” formus “warm,” Old English wearm; see warm (adj.)). Sense of “having to do with heat” is first recorded 1837. Restricted noun sense of “geological remains of a plant or animal” is from 1736 (the adjective in the sense “pertaining to fossils” is from 1660s); slang meaning “old person” first recorded 1859. Fossil fuel (1833) preserves the earlier, broader sense. 1610s, “any thing dug up;” 1650s (adj.) “obtained by digging” (of coal, salt, etc. ), from French fossile (16c. ), from Latin fossilis “dug up,” from fossus, past participle of fodere “to dig,” from PIE root *bhedh- “to dig, pierce.”Restricted noun sense of “geological remains of a plant or animal” is from 1736 (the adjective in the sense “pertaining to fossils” is from 1660s); slang meaning “old person” first recorded 1859. Fossil fuel (1833) preserves the earlier, broader sense.